Leading global ICT solutions provider Huawei hosted its annual Middle East Partner Summit in Dubai on 7 May. Taking place under the theme 'Leading New ICT, the Road to Win-win Ecosystem', the summit hosted participants from 12 countries across the Middle East who gathered to form a collaborative platform in order to explore the current requirements for a successful digital transformation and ushering in the Artificial Intelligence era, exchange ideas, share success stories and best practices, targeted at empowering Huawei's channel partners in order to increase their ability to cater to the region's increasingly demanding technology innovation needs, and to establish an open and collaborative ecosystem. 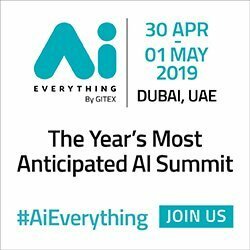 The full-day summit highlighted Huawei's latest partner programs and outlined the company's strategic plans for digitalization in the Middle East, in order to move on to next stage by adopting the latest AI technologies and cloud computing. Huawei's channel strategy for 2018 centers on the empowerment of its channel partners to deliver the latest, most comprehensive ICT solutions to their customers by embracing a collaborative, win-win approach to partners, competitors, and the industry as a whole. In partnership with GAPP, a Diamond sponsor of the summit, Huawei launched their GTM ("Go To Market") Strategy, which focuses on catering to Middle East market requirements by building an enhanced service portfolio with GAPP serving as systems integrators. Other partners who supported the event were Diamond sponsor Redington, Platnum sponsors Microsoft and STME, Gold sponsors CNBM Technology, Enterprise Systems, net., SAP and Suse. Huawei has updated some star products and solutions, including the Agile Campus 5.0 network solution, All-flash Storage Dorado product, Prefabricated Modular Data Center and all new M-Serials Artificial Intelligence (AI) enabled video surveillance camera. Huawei also displayed its newest product portfolio, including the launch of its FusionServer G5500 Heterogeneous Server. This new server is designed for data center deployment, and uses a fully modular design, with independent CPUs. It is a best-in-class heterogeneous computing platform for AI, HPC, intelligent cloud, and video analytics. The G5500 supports GPUDirect RDMA as well as P2P interconnect technologies. It supports one-click topology switching, which provides the optimal heterogeneous topology configurations for diverse workloads. 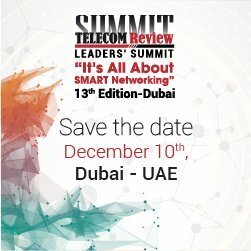 "We see our long-term enterprise strategy in the region cantered around building an ecosystem through which Huawei can help our Middle East channel partners meet their customers' needs with enhanced connectivity and improved user experience, across different domains," said Alaa El Shimy, Vice President and Managing Director, Huawei Enterprise Middle East. "Huawei advocates openness, collaboration, and shared success. Through joint innovation with our customers, partners, and peers, we are increasing the value of ICT in support of a more robust and mutually beneficial industry ecosystem. Our goal is a win-win situation for everyone, and we are dedicated to working together to establish mainstream standards and lay the foundations for this shared success." Bander Alfreih, Chairman and CEO of GAPP, said: "Integrated, collaborative partnerships like the one we have announced with Huawei are exactly what we need to move the region forward on the path to digital transformation. We are incredibly excited to get to work on building this infrastructure together, and to see how quickly it will produce tangible results for the ecosystem writ large, as well as the individual end customer. This will be how we define our success." Hazem Bazen, Vice President-Channel & Alliances, Huawei Enterprise Middle East noted: "Huawei is determined to build relationships that are both symbolic and practical with partners throughout the industry. Through a strategy of shared success, we will create together the platforms that will cultivate a fertile environment for an unrivalled digital ecosystem to grow." Huawei continues to establish a partner ecosystem that includes channel partners, solution partners, service partners, talent alliances, and investment and financing partners. Partners include many industry-leading companies such as SAP, Accenture, GE, Honeywell, Siemens, Alstom, Hexagon, Thales, VST ECS, Synnex, ALSO, and Redington. At the end of 2017, the company had more than 13,000 channel partners, 860 solution partners, and 2,900 service partners working around the world to deliver solutions to over 45,000 customers.